I followed her outstretched hand and watched as around 12 people donning colourful helmets were trying – in vain – to steer their kayaks against the rolling waves. We eventually made our way down from the impressive walls surrounding the Old Town and headed to Pile Bay for our sea kayaking tour. 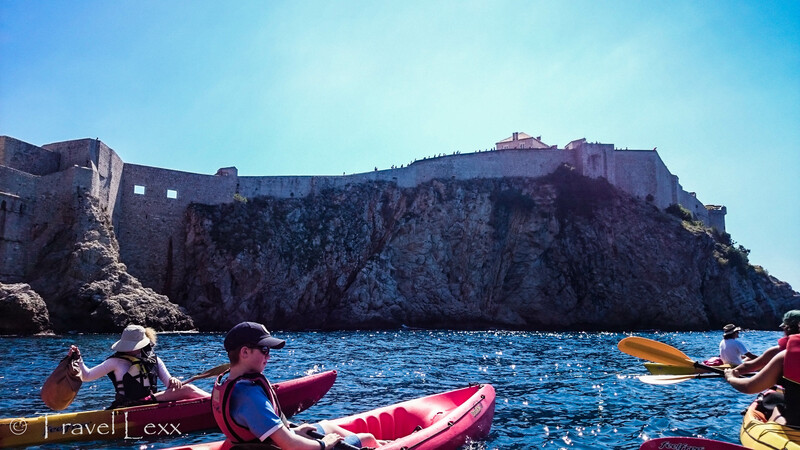 We chose X-Adventure Dubrovnik Sea Kayaking through a recommendation at our hostel. There was to be no kayaking today though as the sea, it turned out, was too rough. The group that we saw earlier, from the city walls, had to apparently be pulled to safety by a boat. All was not lost, however, and we rebooked our trip for the following morning before continuing exploring the city. The next day, the sea was much calmer and we grabbed our paddles, life vests and waterproof bags, while listening to the brief. There were about 25 people in our group and we were all soon sitting in our kayaks, paddling out of the bay behind our guide, trying to avoid the rocks jutting out of the crystal clear water. Some managed this better than others – I looked around to see an upturned kayak and a couple of guys sheepishly smiling from the water. We glided past the imposing city walls which seemed to grow straight out of the cliff face, waves lapping gently against the stone and birds nesting on the narrow ledges way above us. 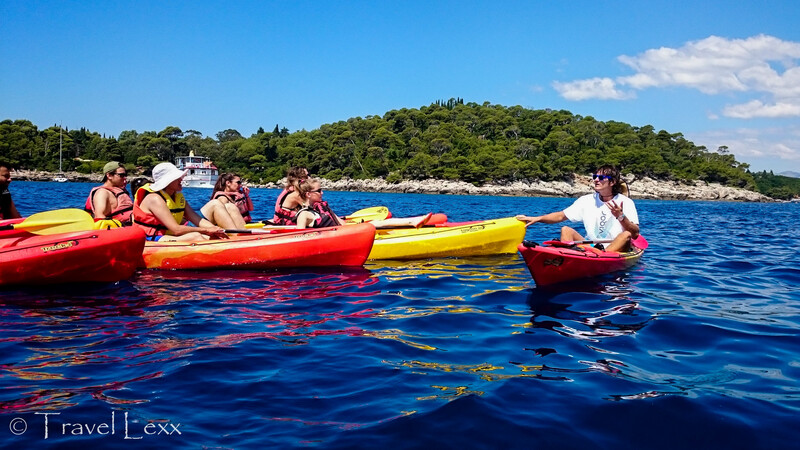 After making our way towards open water, we crossed the channel between the Old Town and the rocky shores of Lokrum Island, covered in lush greenery. We paused to let the rest of the group catch up (I am very competitive!) and found out about the fascinating history of the island. Richard The Lionheart’s fleet of ships was said to have been caught in a bad storm in 1192 and he swore to build a church at the first spot of dry land he would set foot on. He survived by reaching Lokrum and wanted to make good on his vow. Citizens of Dubrovnik, however, asked if they could use the funds to build a cathedral in the main city while pledged to fulfil Richard’s promise at their own expense. Richard agreed and the shrewd people of Dubrovnik had their cathedral while the English King kept his oath! We continued along the west side of the island and hugged the coast, staying just far enough not to be swept onto the sharp rocks. We steered our kayaks towards a small cove, cliffs rising high on each side, and learned about the special status the island enjoys. It’s been designated a special reserve of forest vegetation by UNESCO and so there is plenty of natural beauty to enjoy. There are a number of trails around the island, rocky beaches, including a well-known FKK nudist beach and even a Botanical Gardens! Soon we were paddling on the eastern side of the island, a huge cruise ship docked in the distance with the hills providing an atmospheric backdrop. The tour took a more serious turn as our guide told us about the Balkan War of the 1990s and how close Dubrovnik came to being taken by Serbian and Montenegrin forces. He described how the city was surrounded and shelled from the very hills we were just admiring. It was a fascinating look into a conflict that only took place 25 years ago. While we have heard so much about the two World Wars, it’s actually pretty easy to meet someone in Dubrovnik who witnessed the fighting, bringing a unique perspective on what happened. After the history lesson, we headed towards the mainland. Our next stop was the private Betina Cave, which is only accessible by sea. We dragged our kayaks out of the water and stacked them on the beach. It was time for a break and we tucked in to ham and cheese sandwiches before taking a swim in the warm waters of the Adriatic. 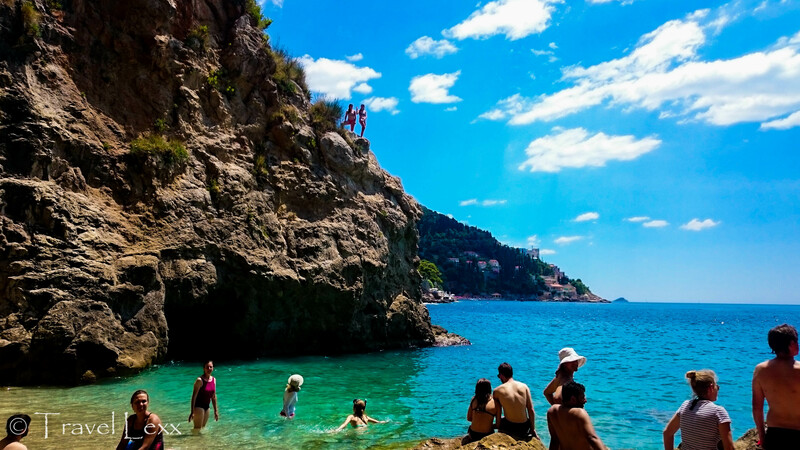 I couldn’t resist a bit of cliff jumping (it’s my new favourite pastime) so I clambered up the rocks and side-stepped a nervous Canadian girl before plunging around 8 metres into the azure waters below. It was exhilarating and was the highest I’ve jumped so far. Time to find some bigger cliffs! I almost lost my shorts in the process, though, which wouldn’t be fun! 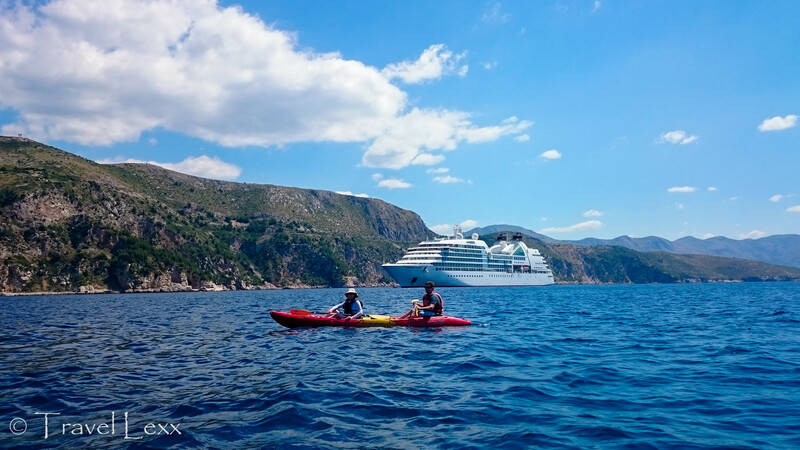 As much as we wanted to stay, it was time to get back in our kayaks. 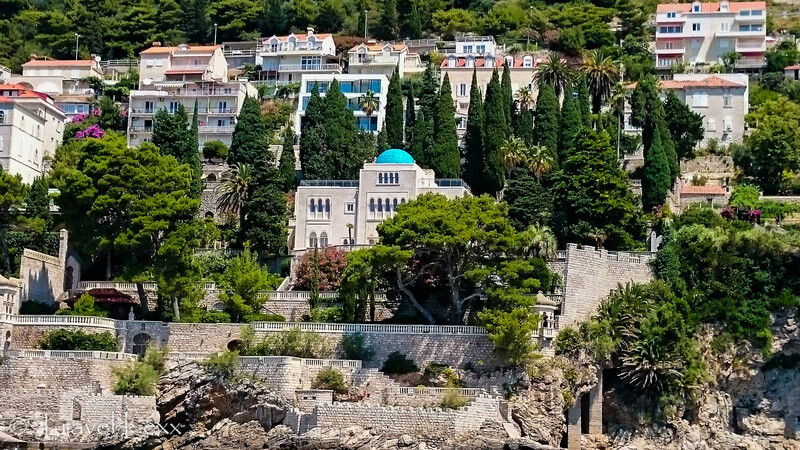 We craned our necks admiringly at the beautiful blue-domed Villa Sheherazade, majestically overlooking the sea. It’s popular with celebrities and a night in one of its rooms will set you back €7500 (£6400/$8300)! The building was also used as a filming location in Game of Thrones! We started making our way back towards the walls of the Old Town. We had to work a bit harder as we were going against the waves and it made for a great workout! Soon, we were gliding back through Pile Bay and trying to not to fall in while climbing out of our kayaks. We had a refreshing cold freshwater shower and grabbed a drink as we watched the next group make their way to the water with a hint of jealousy. Because, while our arms were aching, we would gladly do it all over again! Where: Dubrovnik Airport is around 20 km south of the Old Town. Various airlines fly to Dubrovnik from the UK and Europe. We flew with EasyJet from London Gatwick for around £180 return. Getting There: Head down to Pile Bay, only a few metres from the main gate and you will eventually see the outdoor offices of the two competing companies. X-Adventure occupy a small hut in the corner. Chances are, you will be stopped by one of the friendly reps at some point during your stay in Dubrovnik. They will point you in the right direction. 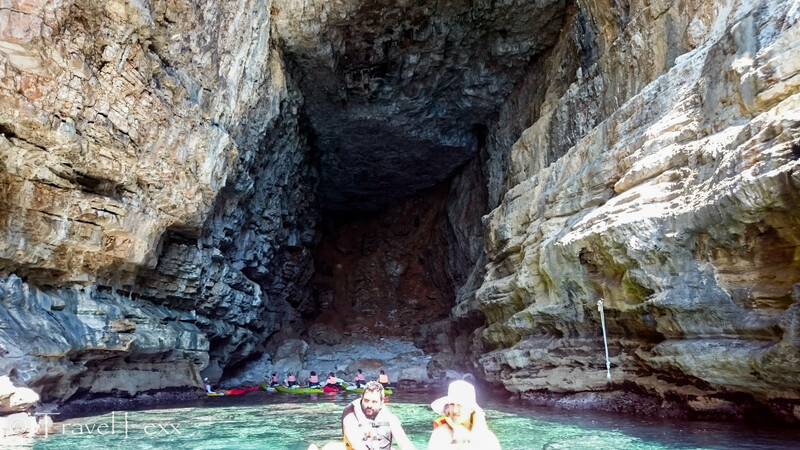 This entry was posted in Croatia and tagged betina cave, croatia, dubrovnik, kayaking, lokrum island, travel, wanderlust, waves. Looks like a lot of fun Alexei. When I visited, I just took the ferry over and hiked around the island, but I wish I had done this too. If my memory serves me, apparently the island was also a quarantine zone during times of plague, so sailors had to first stop there before they were allowed into Dubrovnik. Worth a day trip. So we’ve tried kayaking and all i can say is way too much like a work out, we prefer someone else to do the rowing! we’re so lazy LOL! But must have been great for a different perspective, as your pics show. Love the Game of Thrones locations and fascinating history, I remember the Balkan War, it wasn’t that long ago. And why did you have to make me google what a FKK beach was ?! My friend was saying how she didn’t need to do any paddling because I was going so fast! I was missing the gym 🙂 It was a great trip and I’m missing Dubrovnik so much right now! You mean you haven’t been to one? What a fantastic way of seeing a place with a whole new perspective! 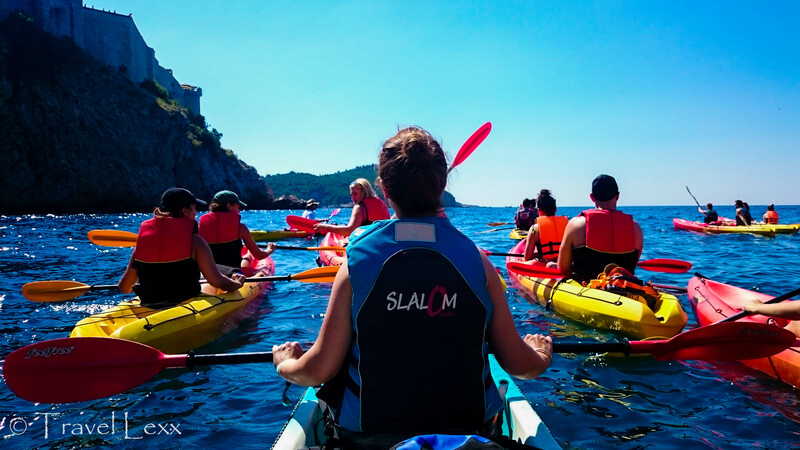 I have an image my mind of the sound of “sea silence” and you kayaking around enjoying the views listening to the fascinating history – brilliant! Love this adventure! The “sea silence” was broken up by my grunting as I tried to beat the couple paddling next to win! It’s definitely not the taking part! No, it was absolutely fantastic – highly recommend! Looks like a lot of fun but I think I would opt for hiking it. I’m a sucker for any botanical gardens. But, it really looks like a beautiful place, thanks for sharing! Yeah I would love to explore it on foot next time! The botanical gardens are said to be beautiful! Great writing, by the way! I felt like I was there, learning about the history and seeing the cliffs. And from the pictures, it looks like you had a really beautiful day! Thanks for sharing! Thank you Anna for the kind words 🙂 It was a fantastic day and the weather really was on our side! Thanks Stephanie! Yeah I’m not the best I’m the water so wouldn’t want to be stranded in the middle of the Adriatic! Definitely recommend this! I’m glad you were able to postpone the kayaking until the sea calmed down. Kayaking is challenging enough in calm waters. I would love to see the caves but I would not do any cliff diving! Yeah we were pretty lucky, especially since we only had one more day in Dubrovnik! It was great fun! Thanks Oana! The great thing is you don’t need any classes! Anyone can do it without prior experience! Hope you get to give it a try soon. This trip story is really inspiring. 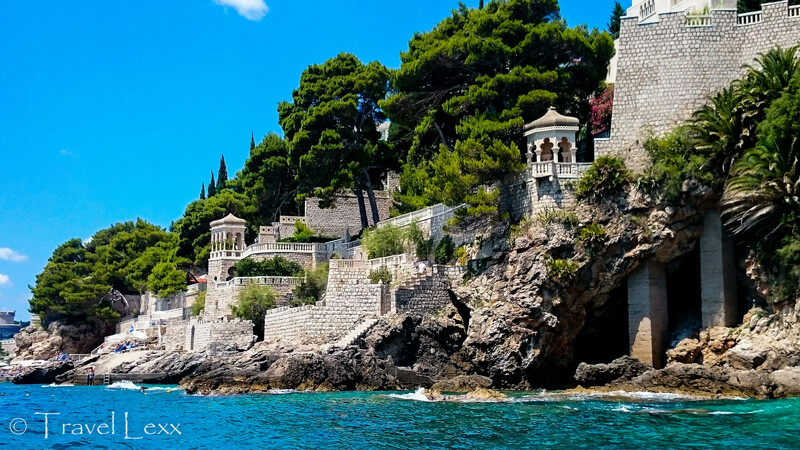 I’m so excited to visit Lokrum island. 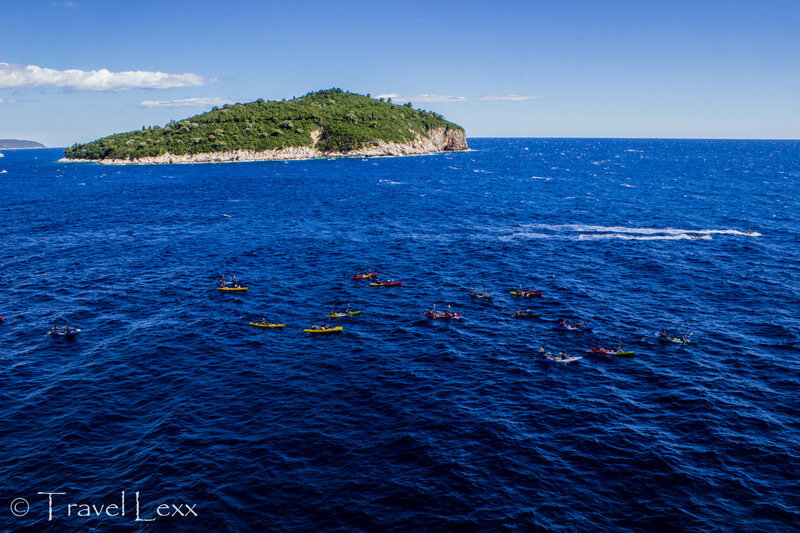 I like to kayaking in the ocean and Lokrum island seems like a perfect place for adventurous kayaking experience. Thanks for letting know the expenses and directions to visit Lokrum island. This is right up my alley. I definitely want to do this when I go to Dubrovnik! It was great fun and a good workout too!